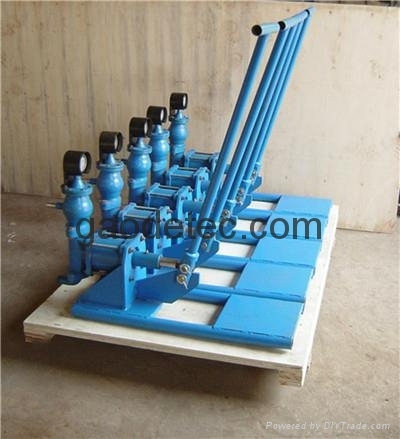 GHG - 10 grouting pump portable by hand, slide, grouting pump manually. Lightweight design makes the grouting pump is suitable for small jobs.0 to 10 l/min and stress is 10. Small manual cement grouting pump is widely used in Marine/underwater, doorcase, window frame, hollow metal filling, prefabricated, machine base, in a sealed, plate, packing. This manual pump is ideal for injecting grout or similar high viscosity mud. We are cement grouting pump suppliers, professional in grouting equipment, such as grout mixer and agitator, grout pump and compact grout plant. For more information, please email us.